I do try to do Champagne Friday on Friday but sometimes stuff gets in the way. This last Friday brought an inadequate bottle of bubbly (of which I will speak no evil) so I decided to use my note on a wine I tasted (well, drank) Thursday evening with Rupert Symington and some friends (aka “The Gang of Pour”) after our Vintage Port tasting. Yes, we were drinking Champagne AFTER a Port tasting. Shocking … but also quite refreshing. Come to think of it, by the time I finished sipping it – it may have been Friday. 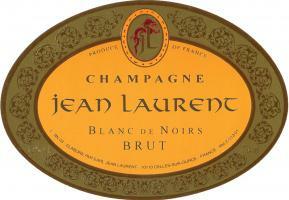 The wine was Jean Laurent Blanc de Noirs imported by Hand Picked Selections. Here is a bit about Jean Laurent (distilled from the excellent HPS website – www.handpickedselections.com – where you will find more on my friend Dan Kravitz and his excellent Hand Picked Selections), my note on the latest release of this perennial favorite, and a Dorothy Parker quote. For more than 1,000 years Jean Laurent’s family has been growing grapes near Celles-sur-Ource in the Aube, an outlying Champagne district south of Marne that shares the same chalky soils as the heart of Champagne and Chablis. Jean farms 39 acres, split between Pinot Noir (30 acres) and Chardonnay (9 acres), with no Pinot Meunier. The Aube is Pinot Noir country and Jean Laurents bread and butter is this Blanc de Noir, typically blended from three vintages, and aged a minimum of 3 years on the yeast. As an RM (Recoltant Manipulant or Champagne estate bottler), Laurent makes Champagnes exclusively from his own vineyards. While an RM Champagne is not guaranteed to be high quality, it is your best chance for site specificity and actual terroir in Champagne. Jean Laurent offers all of that and high quality and all at a reasonable price.